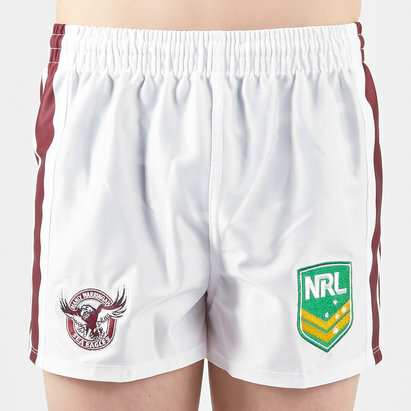 Cheer on the Silvertails in the 2018 NRL with these Manly Sea Eagles NRL Alternate Kids Supporters Rugby Shorts from ISC. Just like tradition these shorts are predominantly maroon with white chevron detailing down the sides. The NRL logo is on the left whilst the club badge is on the right.